Buy your Panasonic solar panel HIT VBHN245SJ25 245 W at the best price exclusively online. These solar panels PANASONIC use a revolutionary technology which combines two types of photovoltaic cells - monocrystalline and amorphous cells. The result are multilayered cells which can produce 3% more electricity than standard cells using single crystal technology. In addition, this technology also helps increase the performance of your installation on the whole. The solar panel HIT 245 W comes with a 19%-efficiency. A great way to increase the power production on your roof. You can trust the photovoltaic modules PANASONIC for several reasons : The HIT technology (Heterojunction with Intrinsic Thin Layer) is a key invention by PANASONIC. HIT solar cells have a fine Wafer Monocristallin covered with an ultra-thin layer of amorphous silicon. Solar panels by PANASONIC are very efficient and produce more electricity per square meter compared to conventional products. You need fewer modules on the roof for the same energy production. PANASONIC has years of experience and reference installations all over the world. 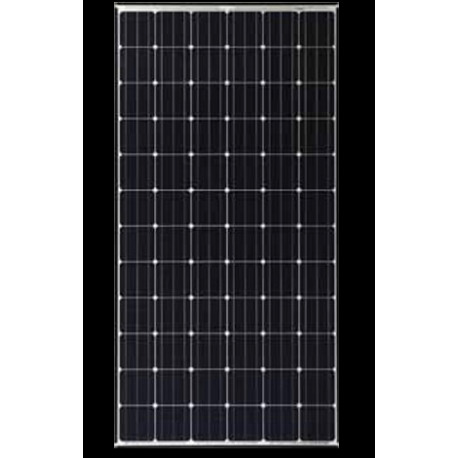 Be sure to buy these high-quality solar modules at the very best price.